Painting 10mm models was quite a new experience for me and despite a few issues along the way, I am really quite pleased with the way this little scene turned out. 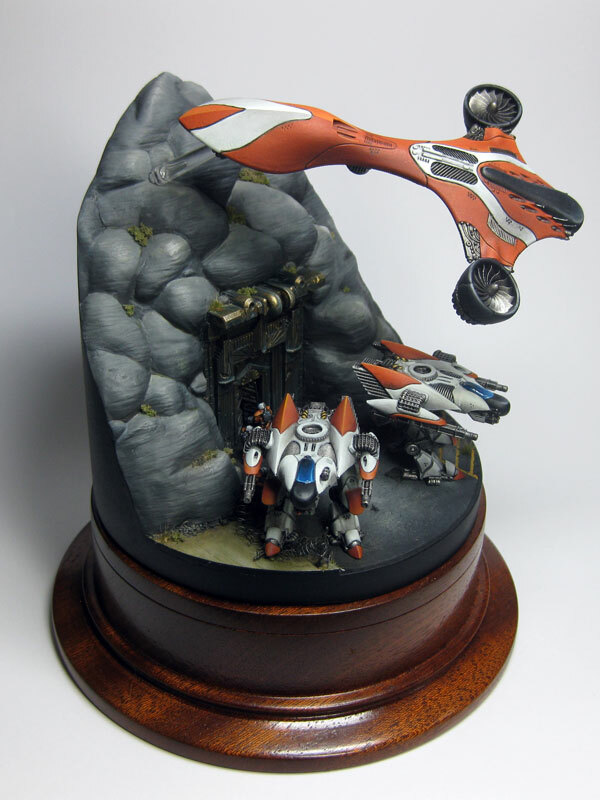 I had a few learning experiences along the way – such as white is really tricky and painting long smooth gradients is very difficult without an airbrush! 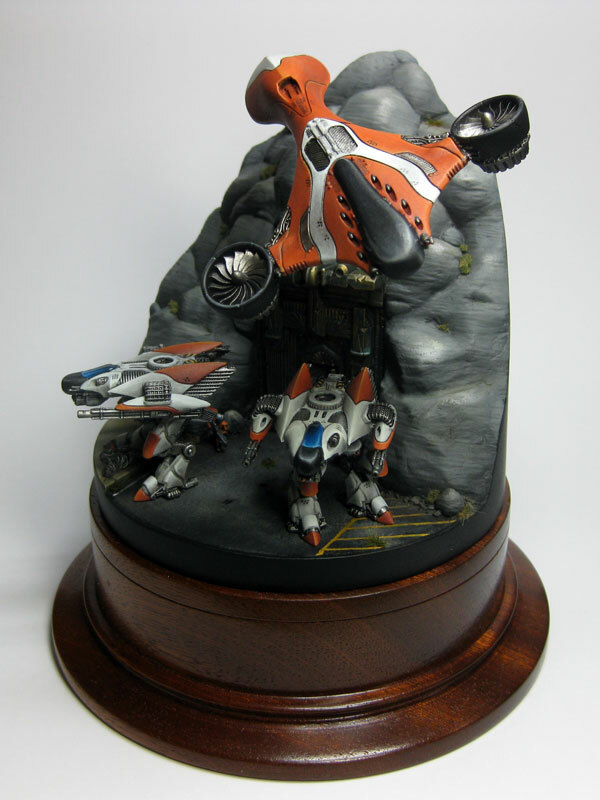 If you want to see the build of this vignette or any other Dropzone Commander posts, then follow this link. Bits I am really pleased with are the cliff face, the door and the troops breaking into the mountain stronghold. Also, despite the issues I had painting the orange and white (I wanted it a lot smoother than it is), I am pleased with the colour combination! These models really are superb and I think that an army of these guys would look absolutely awesome. Maybe I should get on with it and share some photos! Mr Bad Axe by JoeK Minis completed! Hello there! I’m an up-and-coming artist who wanted to express my gratitude to you. 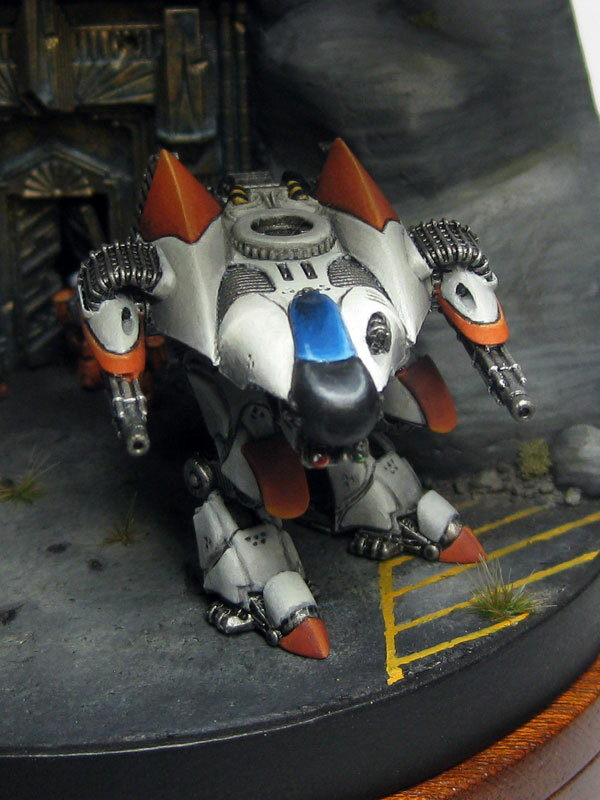 See, I’ve recently started doing commissions and my most recent one wants me to paint this scheme, though they want blue in place of orange and grey windows instead of what I’ve come to call “glass-like”. We both agreed that this scheme was perfect for a two-tone army, unlike the one labeled as such in the core rulebook. I only hope that I’m able to live up to expectations. I figured it was courtesy to thank the artist responsible for the source art, so again, thank you. I hope you have nothing against me using your works as such, though I will respect your wishes if you do.